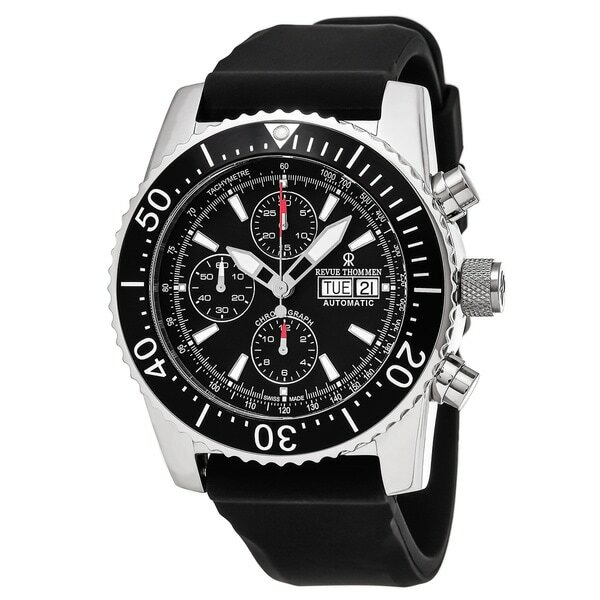 Great watch, love the look and the size (fairly bulky). It works well for both the weekend and in the office. Also really like the silicon band, again kind of thick which is great as it seems really durable. Would definitely recommend! Revue Thommen was founded in 1853 by Gedeon Thommen and has developed into one of the leading Swiss watch companies with products in the aviation industry. Fantastic watch. Quality is above what I expected given the price point. 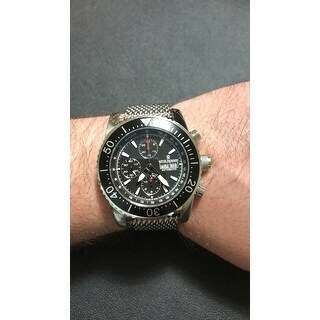 Feels on par with Breitling I’ve owned and spent 6 times this on. Buttons are crisp, movement is smooth. It is a heavy watch, that could be a complaint if you have a small wrist. I changed the rubber factor band to a metal mesh one, but the rubber one is very soft and substantial. 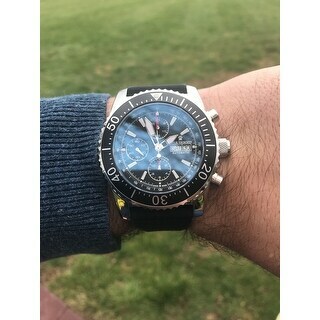 All in all, I am impressed, have had this watch on my “to buy” list for a while and it’s definerly above my expectations.